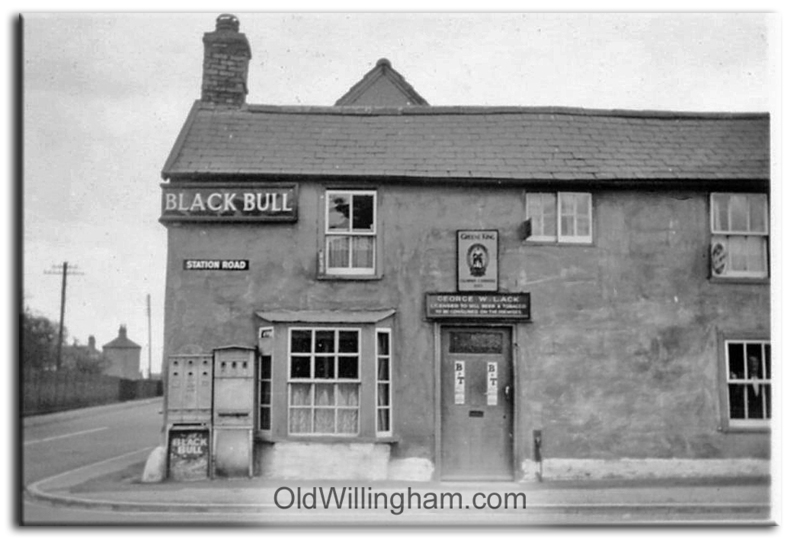 Did you know that the Black Bull at the Station Rd, crossroads replaced an earlier pub of the same name which stood on the corner? Here is a picture of the old pub which sold Green King ale and was run by George W. Lack. This building (and the ones behind) were demolished in the 1950s when the road junction was widened and the new pub was built on part of the site. This picture was sent to us recently by Ed Cole, grandson of Fred Cole the village basket maker during the mid 1900s and also a fruit grower. It’s not often that we get new pictures so we are very grateful to Ed.